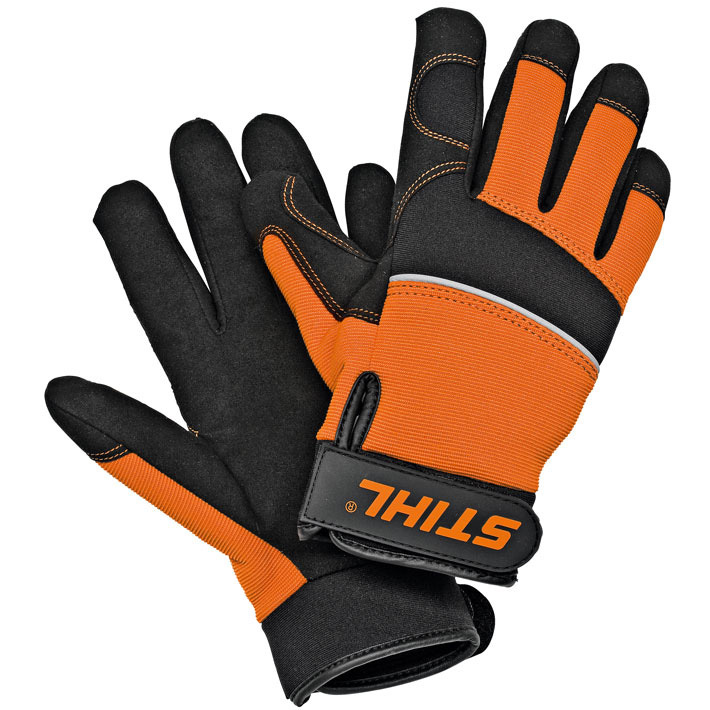 Comfortable work gloves made of black synthetic leather, orange Spandex ® and neoprene. Fingers with lateral air vents. Flexible rubber cuff with Velcro fastener. Avilable in S, M, L and XL.